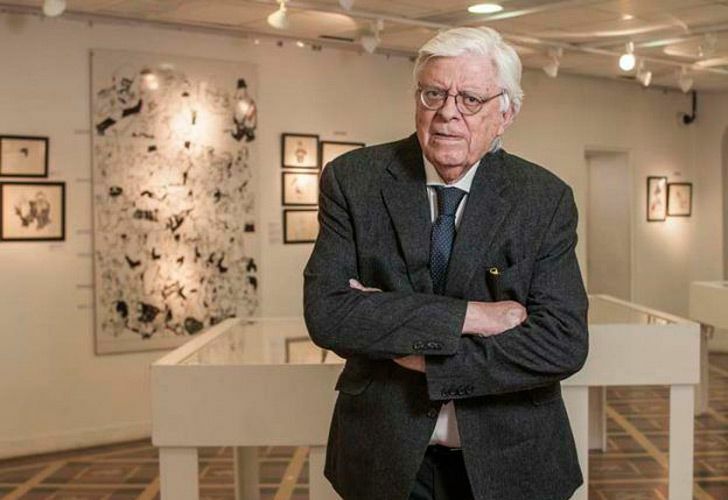 Award-winning political cartoonist best known for his work with the Clarín newspaper died peacefully in his sleep yesterday. Hermenegildo “Menchi” Sábat, the award-winning political cartoonist best known for his work with the Clarín newspaper, died peacefully in his sleep yesterday at the age of 85. Born in Montevideo in 1933, Sábat arrived in Argentina in 1965, leaving behind a job at Uruguay’s most important newspaper El País. He began his career in Argentina contributing to magazines such as Primera Plana and Crisis, as well as the La Opinión newspaper. In 1973 he left for Clarín and began producing cartoons and caricatures. Known for being fiercely critical of the Kirchnerite governments, Sábat regularly tackled aspects of Cristina Fernández de Kirchner's presidency in his own trademark style. Amongst his prizes, he was awarded the ‘Moors Cabot’ prize from Columbia University for his work during Argentina's last military dictatorship (1973-1986), as well as the Fundación Nuevo Periodismo Iberoamericano (FNPI) prize. As well as a cartoonist and caricaturist, Sábat was known for his skill as a photographer, jazz clarinetist and poet, notably compiling his caricatures with poems to produce books, the most famous being 'Al Troesma con Cariño,' which was dedicated to iconic tango singer Carlos Gardel. Having inherited his name and talent for drawing from his grandfather, Sábat began drawing at 12, inspired by a portrait of the poet Rubén Darío. Drawing right until the end, according to Clarín, he went into the office daily until the day of his death, Monday 1st October.